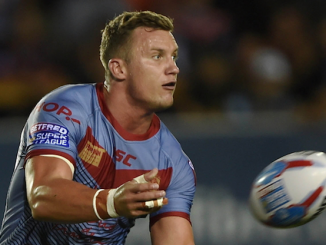 The sixth round of the Challenge Cup provided us with plenty of stories across the weekend and we have picked out the five main talking points. If this weekend taught us anything, it’s that the sport is having problems with the officials in the middle both on and off-the field. The sixth round of the Cup saw 16 cards across eight fixtures; seven at Featherstone vs Hull, four at Halliwell Jones Stadium. This week of action has proved that the respect for referees from both players and fans has severely dropped, and it’s not a pretty sight for the sport. Toronto Wolfpack captain Josh McCrone was binned for what can only be described as a lack of respect for Ben Thaler, the man with the whistle on Sunday, and fans on social media praised the referee. Arguably, more referees are needed or a better quality of training is required, yes. But there is no over-night solution for this on-going problem in rugby league. Steve Price’s new Warrington Wolves side made it ten consecutive victories in the Super League and Challenge Cup following their 66-10 dominant display against Toronto. The Wire sit third in the table, just four points behind league-leaders St Helens, and they are looking good in 2018. New signing Josh Charnley has been nothing short of impressive since his return from rugby union, including six tries and already being joint-second top try scored for his new side. They have wins against Castleford Tigers, Huddersfield and more-recently Leeds Rhinos in round 14. Warrington are looking the real deal in 2018, and the old cliché has to be asked; is it finally their year? 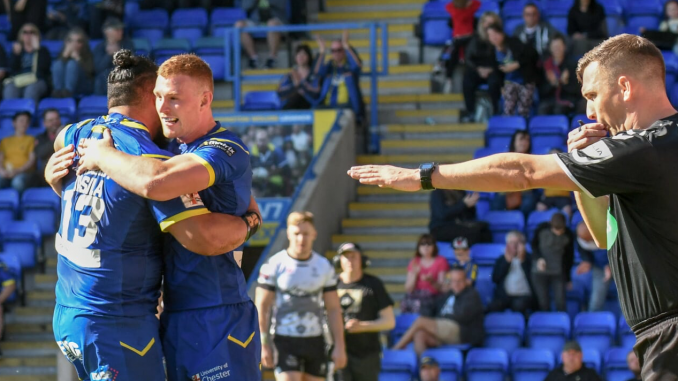 Paul Rowley’s side travelled to Halliwell Jones Stadium to face Super League opposition Warrington Wolves, and they started off the better side. Adam Higson opened the scoring, shortly followed by fellow-winger Liam Kay. Toronto, at times, looked a glimpse of a Super League side. The forward pack were handling things well, the backs were connecting and tries were being scored. Then it all went downhill. 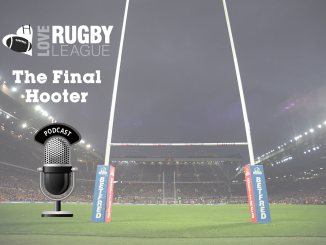 Warrington’s first try through Mike Cooper sparked something in the Canadian side’s blood, and a fight – if you can call it that – progressed under the sticks. The Wolfpack failed to recover from there, and their discipline proved they have a long way to go. Liam Kay was the first to be sent off for tipping Josh Charnley in the tackle in the first half. Andrew Dixon soon followed but with a red after punching Harvey Livett in a unnecessary scuffle. Toronto just got worse from there. Two more yellow cards followed in the second half, with captain McCrone and Darcy Lussick both sent by Thaler. Discussions were heated, penalties were given and visitors had lost it. If Toronto are to make Super League, they will have to improve on their discipline. The two Yorkshire-based sides featured in this round of Challenge Cup, with the Black and Whites beating Featherstone on Thursday whilst their rivals fell short to Wigan on Sunday. And, whilst fans like to disagree on everything, there’s one thing they currently have in common; Injuries. Hull KR faced Shaun Wane’s side with more than 10 first-team players side-lined, including captain Danny McGuire. The pain didn’t stop there, as forward Robbie Mulhern sustained a possible ACL injury, confirmed coach Tim Sheens following his side’s defeat. Lee Radford’s Hull FC, unfortunately, know the feeling. Marc Sneyd, Albery Kelly, Scott Taylor and Jordan Adbull are all currently out with injuries. They also lost Carlos Tuimavave, Josh Bowden, Fetuli Talanoa with injury whilst Bureta Faraimo saw himself sent off for a dangerous tackle. 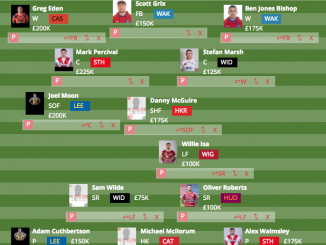 With the sides come head-to-head in this weekend’s Magic Weekend, could they possibly ask for a game of nines? It sounds daft, being a random selection of fixtures – hosted by Dave Woods – but fans on social media expected this draw. 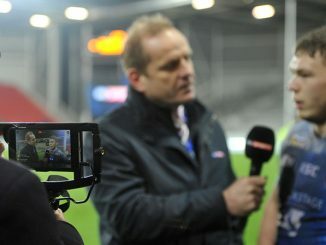 Warrington hosted Wigan in the identical fixture last year, which saw the latter progress to the semis. 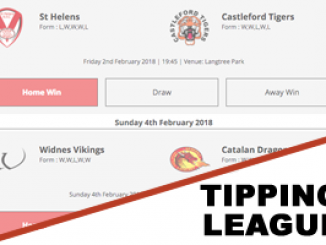 St Helens’ and Hull’s rivalry will be sparked again as they meet at the Totally Wicked Stadium, Featherstone will play hosts to Leeds vs Leigh and the Dragons will travel to the John Smiths Stadium to fight for a place in the semis against Huddersfield. Prior to the draw, it was arguably…predictable. Credit to BBC 2, however, for showing the draw live on air instead of the Red Button.